In a counter-intuitive finding, new research from North Carolina State University shows that a species of shellfish widely consumed in the Pacific over the past 3,000 years has actually increased in size, despite – and possibly because of – increased human activity in the area. At issue is the humped conch, Strombus gibberulus, a small mollusk that has been a food source in the Pacific islands for thousands of years. The researchers dated and measured more than 1,400 humped conch shells found at an archaeological site on the island of Palau in the western Pacific. They expected the size of the conchs to decrease over time, based on the conventional wisdom that an expanding human population would result in the conchs being harvested before they could achieve their maximum size. Instead, the researchers were surprised to find that the average size of the conchs actually increased in conjunction with a growing human population. Specifically, the length of the average conch increased by approximately 1.5 millimeters (mm) over the past 3,000 years. That may not sound like much, but it is significant when you consider the conchs are only around 30 mm long – which means the conchs are now almost 5 percent larger than they used to be. Fitzpatrick believes the size increase is likely related to an increase in nutrients in the conch’s waters, stemming from increased agriculture and other human activities. The study was co-authored by Fitzpatrick, Christina Giovas of the University of Washington, and two NC State undergraduates, Meagan Clark and Mira Abed. 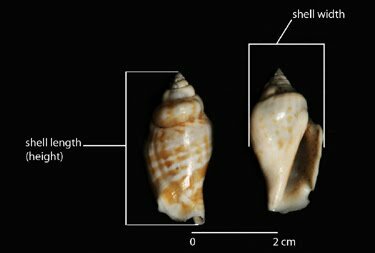 A paper describing the study, “Evidence for size increase in an exploited mollusk: humped conch (Strombus gibberulus) at Chelechol ra Orrak, Palau from ca. 3000-0 BP,” will be published in a forthcoming issue of the Journal of Archaeological Science. The samples used in the study were collected as part of a National Science Foundation-funded research initiative.